Friday night funk for my Saturday night Brothers. And, sisters. Here's a nice tough little jammie. I was playing this out quite a bit over the last year and felt it deserved a resurrection here. This tune is slammin' boogie funk at it's best. It's an epic tune as well, close to ten minutes in length bouncing back and forth from instrumental to vocal. The Floaters and Shu Ga have said to 'Make It Hot' and they have indeed done just that. 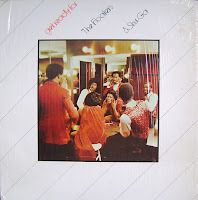 The Floaters are most well know for the chart topping 'Float On' in which they made the cheesy 'what's you sign?' rap a household skit. Rather, leaning into the mic with a deep baritone voice and stating your astrological sign. That song was parodied by everybody from Sesame Street to Cheech and Chong. Yum, a hamburger. A hamburger than gets on everything and everybody. Check it. Originally from Detroit they started in the mid seventies and continued through the early eighties. They stemmed from the fantastic well know group the Detroit Emeralds. Even though they scored a major hit with 'Float On' they got pegged as 'one hit wonders' but, thankfully they kept right on floating on and gave us this killer LP. 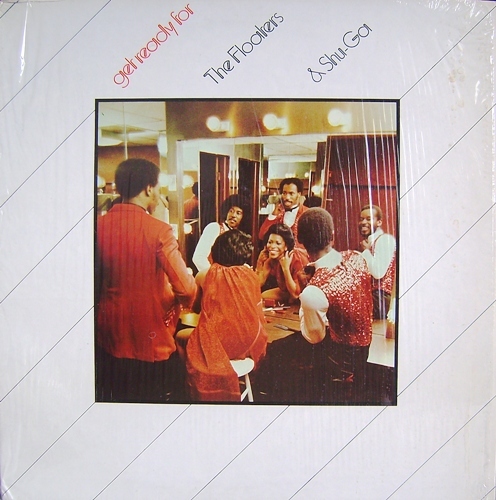 This LP 'Get Ready for the Floaters and Shu Ga' is from 1981. It's a little bit hard to find, and on the small indie label Fee-troit, but extremely well worth the hunt. This tune was featured on a Truth Is Light edit, so this is also available for 10 to 12 bucks from those folks. Although, they edited it into a strictly instrumental version, and this vocal version is far more superior in my eyes. This track seriously sizzles. If you're like me, you'll fall in love with it. When I first heard it, I had never heard something so tasty. Wicked. We hope that Soundboutique is your favorite disco spot just like they say in the song. Straight up, not much else needs to be said other than this is my effin' jam.